Two young sisters were killed earlier this year after a sheriff's pursuit. Contra Costa County Sheriff's Deputy Quentin Valentine was patrolling Bay Point on Jan. 17, looking for a driver in a stolen car. He'd almost given up and was on his way to another call when he spotted Noe Saucedo driving a white Ford F-250 pickup on Bailey Road. Valentine made a U-turn and started following Saucedo but didn't turn on his patrol car's lights and siren. Valentine continued following Saucedo onto state Highway 4, heading toward Antioch. When he reached the Somersville Road exit, Saucedo pulled to the right as if he intended to get off the highway. Valentine did the same. But at the last second, Saucedo swerved back onto the highway, so Valentine followed him again. Saucedo then went off the road, drove down a dirt embankment, and got onto the offramp. Valentine went down the embankment after him and turned on his lights and siren. The pursuit didn't last much longer. Saucedo ran a red light at the bottom of the intersection and crashed into another pickup. Two young girls in the back seat of the second pickup were gravely injured in the crash. Lenexy Cardoza, 4, died later that day. Her sister, 2-year-old Camila Cardoza, died two days later. Saucedo has been charged with murdering both. Saucedo admitted to stealing the truck, according to Antioch police officer Loren Bledsoe, who interviewed Saucedo. Saucedo also told investigators that at the end of the pursuit, he had panicked and intended to pull over, but then lost control of the truck and went down the embankment, Saucedo said he blacked out and doesn't remember what happened until after the crash, according to Bledsoe. The young Cardoza sisters were among four people killed during high-speed pursuits in Contra Costa County so far in 2018. On July 21, at about 9 a.m., an Orinda police officer pulled over a Nissan Altima near the intersection of St. Stephens Drive and Tahos Road. Initially, the Nissan driver pulled over, but sped away as the officer approached the car. The officer pursued the suspect onto state Highway 24. According to a Contra Costa County sheriff, the officer lost sight of the car but then found it crashed near the BART station. A passenger in the car, identified as 20-year-old Lawrence Martin, was killed. The driver, 20-year-old Danny Lockett, was arrested. The Orinda Police Department is operated through a contract with the Contra Costa County Sheriff's Office and, for the purposes of statewide record keeping, is considered the same agency. The fourth fatality occurred on Aug. 23. A sheriff's deputy saw two people get out of a car and throw something near the Rodeo Post Office at 11:41 p.m. Investigators later determined it was a gun, according to the sheriff's office. The two suspects drove away and when deputies tried to pull them over, they fled, leading the deputies on a 5-mile pursuit on San Pablo Avenue into Richmond. They ran a red light at the Richmond Parkway and crashed into the side of a truck. The driver, identified as 35-year-old Louis Marsh of San Pablo, was killed. Four deaths during pursuits in a year is unusually high for any law enforcement agency in California. In fact, according to statewide records obtained from the California Highway Patrol, only one other agency in the state has had four deaths during pursuits in either 2016 or 2017: the San Bernardino County Sheriff's Office in 2016. In those two years, there were no more than two deaths during pursuits in any other jurisdiction. State records also show that Contra Costa County deputies engage in more pursuits than most other agencies in the state and more pursuits lead to injuries. State law requires all law enforcement agencies in California to report pursuits to the CHP. There were no deaths related to pursuits involving the Contra Costa County Sheriff's Office during 2016 or 2017. But in both years, the department ranked sixth in injuries resulting from pursuits among law enforcement agencies in California, behind only much larger agencies like the Los Angeles Police Department and the San Diego Police Department. There were more injuries during pursuits involving the Contra Costa County Sheriff's Office, which employs 668 deputies, than other much larger departments, such as the Sacramento County Sheriff's Department, which employs 1,250 deputies, the San Diego County Sheriff's Department, which employs 2,556 deputies, the Riverside County Sheriff's Office, which employs 2,300 deputies, and the neighboring Alameda County Sheriff's Office, which employs more than 1,000 deputies. Records show that Contra Costa County deputies were also involved in more pursuits last year than any of those departments. The Contra Costa Sheriff's Office was the initiating agency in 149 pursuits last year, the eighth most in the state. Deputies in San Diego County initiated 115 pursuits, in Sacramento County 96 pursuits, in Riverside County 84 pursuits, and in Alameda County 36 pursuits. There were also more pursuits per capita initiated by the sheriff's office in Contra Costa County last year than in any other California county with more than 250,000 people. Nearly a third of pursuits involving Contra Costa County deputies end in crashes: Last year, there were 46 crashes following pursuits, which injured 18 people. Alameda County sheriff's pursuits led to 5 crashes, injuring one person; 51 Oakland police pursuits led to 15 crashes, injuring six people; and 14 San Francisco police pursuits led to four crashes, injuring one person. Contra Costa County sheriff's spokesperson Jimmy Lee pointed out that deputies also call off many pursuits for safety reasons. In 2016, deputies called off 36 pursuits, in 2017 they terminated 35 pursuits and so far this year have terminated 24 of 96 pursuits, Lee said. "Pursuits are dynamic, challenging situations for law enforcement officers who have to weigh a multitude of factors," Lee wrote in an email to the Express. "Our [d]eputy [s]heriffs use good judgment with regard for public safety as they handle pursuits." Lee said that all pursuits are reviewed to determine whether the deputy complied with department policy. However, he would not disclose whether deputies were found to have followed policy in any of the fatal crashes this year, saying it would be inappropriate to discuss any ongoing cases. He also would not say whether it was department policy to follow a stolen car without attempting to pull it over or whether it's within policy for deputies to leave the road during a pursuit. The Alameda County Sheriff's Office issues an annual report that discloses how many pursuits were found to be out of policy and why. But Contra Costa County sheriff's officials wrote in response to a public records request that the agency had no such document. Lee did not respond to questions about why the department apparently doesn't generate such a report. Little information has been released about the second two fatal pursuits in Contra Costa County this year. The department issued a brief press release about the July 21 crash and only a Facebook post about the Aug. 23 crash. There will be coroner's inquest, a hearing during which the involved deputy and investigators testify on a fatal incident, but jurors there only determine the cause of the person's death — whether it was suicide, homicide, natural causes, or accidental — not whether the pursuit was within policy or lawful. The Contra Costa County District Attorney's Office investigates all fatal law enforcement incidents, but until recently the findings have often been kept secret. On April 1, District Attorney Diana Becton committed to releasing public reports for all fatal law enforcement incidents, but the new policy only applies for incidents after April 1. Prosecutors will not issue any report on the Jan. 17 crash that killed the Cardoza sisters. 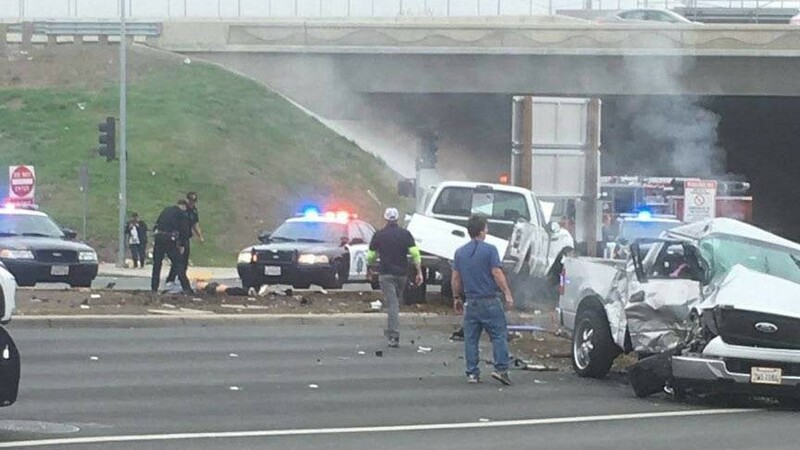 Asked about the results of the fatal incident protocol investigation into the Jan. 17 crash, Contra Costa County District Attorney's spokesperson Scott Alonso would only say that the investigation was completed in February and Valentine was found to have broken no laws. The DA's review only determines whether the deputy's actions were legal, not whether they complied with department policy. Valentine graduated from the sheriff's academy in 2016. He was initially assigned to the West County Detention Facility, but was then reassigned to patrol. Since the crash, he has been assigned back to the jail.